The lights were soft and low. In the background, the haunting sound of ancient chanting enticed me into deep trance. I was in the middle of a very beautiful ceremony where I was becoming a ‘Reiki Master’. As my own Reiki Master came before me and performed the secret ‘attunement’ a very unique symbol came into my awareness. As she opened my hands and blew into my palms it appeared in my mind’s eye plain as day, though it was quite exceptional in it’s design. No information was given with it, just the symbol itself along with a most wondrous state of pure and utter bliss! After the ceremony was completed, I immediately drew the symbol out on a sheet of paper. I asked my Reiki Master and the 11 others in the group if they had ever seen such a symbol? I left the centre that day very different from when I entered it. Despite my bewilderment of what it all could mean, this new symbol and state of euphoria filled me heart and soul with an all encompassing feeling of Love, Peace and Oneness. The night ancient tradition holds, when the veil between worlds is the thinnest. 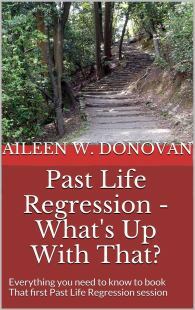 Known as an exceptional night for Past Life Regression and Past Life Recall. A perfect night to connect with the Other Side and hear from Loved Ones (pets included), Ancestors, and/or any Beings of the Light willing to give us information deemed helpful to us on our path. I’d waited months to indulge in the precious energies of this singular night, and those were the two reasons I was eager to do the Connection Ritual…. Yet I couldn’t resist bringing into my little meditative circle of Light, the drawing I’d created of my new symbol. Even my Beloved Shane was silent. There was no one wanting to give me any messages at all it seemed, or even just pop in to say, ‘hello’. I then said to myself, ‘O.K… If none of my loved ones wants to visit with me, then maybe I can get some answers about this symbol I received during my attunement. In truth, I had been unable (or unwilling?) to clear my mind of it for the entire 40 minutes. Indeed, lit only by the candle’s glow, like moth to flame, I couldn’t stop myself from repeatedly turning to the drawing, my fingers tracing it’s incomparable outline over and over. Finally, I acquiesced to what really was the true mission for me this night. I was joyous with this information, as when I heard the words ‘connection’ and ‘as above so below’ it clicked something in my brain yes! It started off slowly at first, allowing me to ‘recognize’ a couple of more recent past lives, being a soldier in a cavalry and as Fayla, the Native Indian Medicine Woman. This gave me a chance to understand what was happening. Then it sped up, until it became a blur of blinking bits, of life after life, going back… back… back…. The instant I thought that, the blur of past lives resumed its montage and this time when it stopped, I did not see myself as a third person looking on, but rather I ‘was’ the person standing there. I looked down at myself and saw that I was wearing a long, simple white gown… my arms and my feet were bare. I could see that my skin was a deep, tan colour and my hair that was softly blowing in the warm breeze was black and long past my waist. I looked up to the beautiful night sky which was filled with twinkling stars. Emblazoned in Light, right there, on the side of a ……. I was instantly back to 3rd person observation position. WHAT THE?!?!!? OH GAWD NOOOOOO!!! NOT ALIENS!!! OH MY GAWD THE SYMBOL CAME FROM ALIENS??? JEEEESSSUSSSSSSSSSSSSSSSSS MUUUUUUURRRRPHYYYYYY!!!! The ‘me’ on the beach was still looking longingly up at the space craft. Spirit Guides, Guardian Angels, even the wee-one’s from the old country Leprechauns & Fairies, no problem! But Aliens? Many you do not understand… as of yet. My attention was back on the symbol. It was worn close around my neck, on the ‘throat chakra’ about an inch long and held there by a silver collar. There was a brilliant blaze of light which shot out from it’s centre. I instantly knew this is what I was suppose to do now. The Enlightened Beings wanted me to once again, wear it…. As soon as I ‘got the message’, I was instantly back, sitting at my kitchen table, with this… humungous bit of information… I was just buzzing! ‘They think I’m crazy just doing Reiki!! How can I share this now’?!?!? I just know that I am incredibly drawn to this symbol. It fills my heart each time! And I know, that I am strongly led to have this symbol fashioned just as I was shown and begin wearing it at my throat chakra. I did indeed have my symbol recreated as I once wore it so many lifetimes ago and I have been blessed to wear it since. I’m looking forward to reading your thoughts and comments below. I wonder what my story is… I will contact you for a session. I only drop a comment when I especially enjoy a post on a website. I feel like dropping several comments at once to show how much I enjoyed this post. Wow. I feel “enchanted” by your pendant!